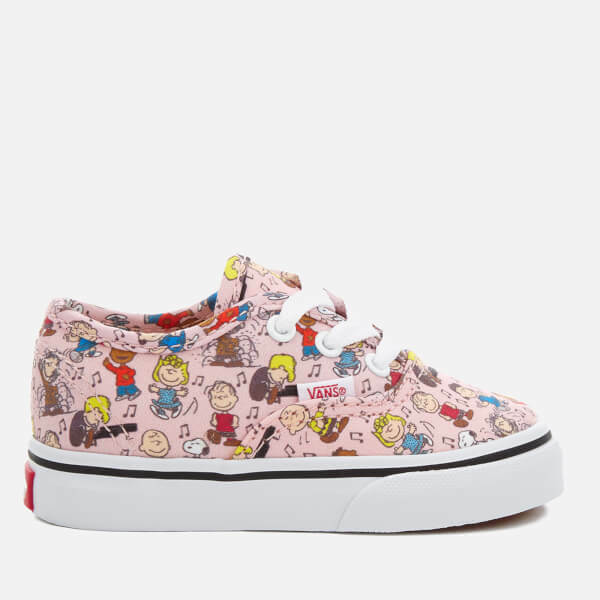 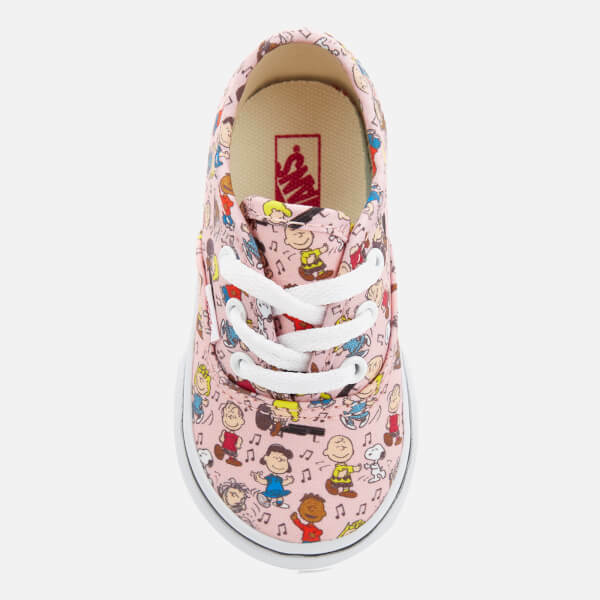 Toddler's printed trainers from the Vans X Peanuts collection. 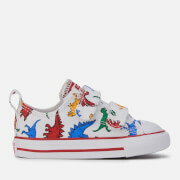 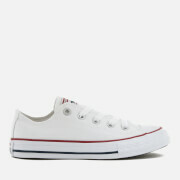 Crafted from durable canvas with an all-over comic print design, the low-top sneakers showcase a classic construction with a rounded toe, a lace-up fastening and a Vans 'Off the Wall' heel licence plate. 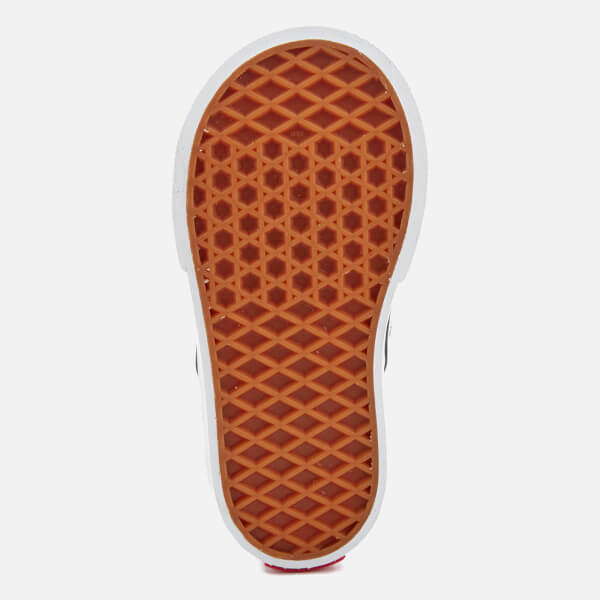 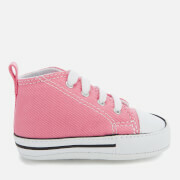 Set on a vulcanised rubber sole with the brand's signature waffle tread and contrasting striped detail.